A dental crown, also known as a cap, is a dental appliance that completely encases the tooth within it and protects it. Crowns are used for a number of different reasons from restorative to cosmetic purposes. There are a number of different crowns that can be used in your mouth and the type you receive will depend on your need for the crown and Dr. Hwang’s recommendations. When you come into Eten Dental in Bayside, you will be able to learn more about the types of crowns that we offer and learn which one is best for you. 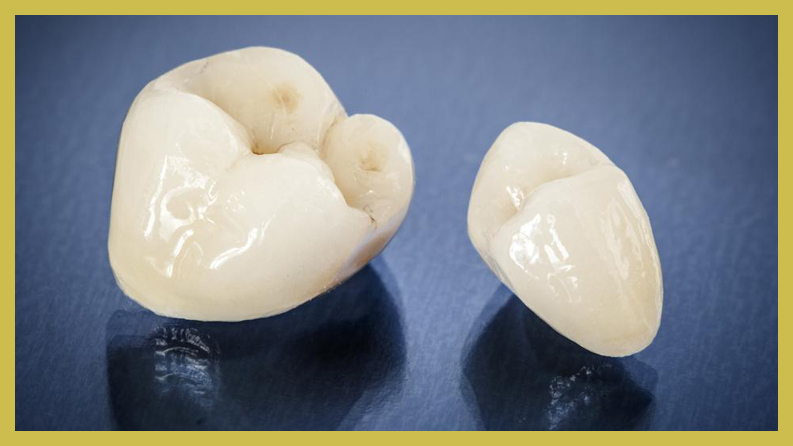 Basic crowns are made from porcelain that is fused to metal and is often called a PFM. A PFM crown has two distinct layers to it. First, it is a metal crown that is then covered in porcelain. Another option available to you is a gold crown covered in porcelain. You can also choose from a zirconia or Bruxzir crown too. These two options have NO metal in them at all. If you do need to have a crown, you will have to come into our Bayside office twice. The first appointment will include the preparation of your tooth and the second appointment will include when the crown is placed on your tooth. If you would like to learn more about Eten Dental, Dr. Hwang, or how dental crowns can help protect your tooth, call our office now. A crown serves multiple purposes and the type you need will depend on what you need it for. Below, you will learn about the three main reasons why you may need to have a crown. Crowns are used for cosmetic procedures and they can help to improve the look of your natural teeth. Crowns will cover up stained, fix misalignments, and even protect a broken tooth. Many patients will choose this option when they do not want to have the tooth extracted or they do not like the flaws on the tooth itself. Crowns are able to be color matched to look just like your natural teeth. 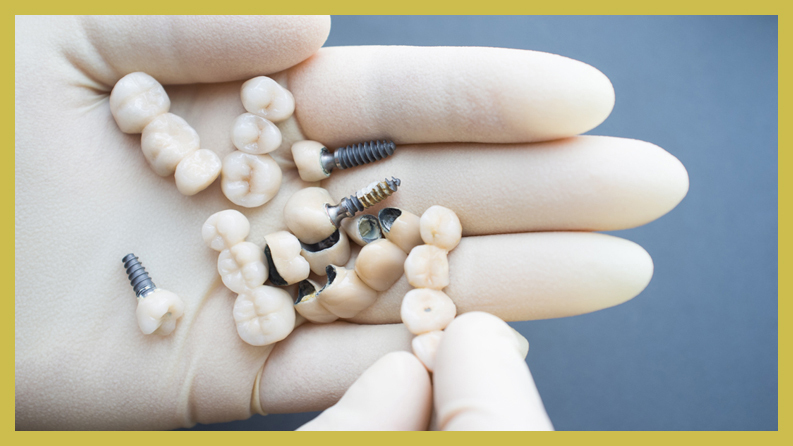 Crowns are used as a means of restoration within your mouth and can protect a tooth that has been fractured, chipped, or broken. Teeth that have suffered from breaks or cracks will lose their integrity and may break further or run into more problems. A crown can prevent this from happening. If a tooth is completely lost, a crown can be placed on top of what is called an abutment, which is placed on top of the titanium post. Crowns are used to protect your teeth and act as a barrier to them. The crown will stop the tooth from breaking or being exposed to different conditions that may test its integrity. When tooth decay is severe enough, a dental crown may be placed over top to help prevent an extraction from being needed. How is a Tooth Prepared to Receive a Crown? Before Dr. Hwang will place a crown over top of your tooth, the tooth will need to be prepared. This will take place in our Bayside office. You may be worried about the process because it does sound quite scary, but it is not as bad as you may think. The process will begin with Dr. Sohn shaping your tooth and then removing the outside layer of enamel from it. This process will leave just the center of your tooth exposed. The amount of enamel that needs to be removed will depend on how bad the decay is and what type of result you want the crown to accomplish. Some teeth only need a small layer of enamel removed while others need to have a lot removed. Once the tooth is shaped by Dr. Hwang, he will then take an impression of the tooth and send it off to the lab to have a crown made. You may receive a temporary crown at this point. Once you come back into our office for the permanent crown, the temporary one will be removed. Before the permanent crown is attached to the tooth, Dr. Hwang will make sure that it fits properly and that it feels comfortable. Once he is happy with the way it fits, a dental cement will be placed inside of the crown and then the crown will be adhered to your tooth. The shaping process is probably the scariest part for patients, but you have nothing to fear. Dr. Hwang will use a local anesthetic to numb the area and you will NOT experience any discomfort. A crown is designed to last decades, especially when it is cared for properly. Crowns are quite resilient and they are made to withstand a lot of different elements and issues, but if you simply fail to care for your crown, it will not last and you may find that it falls out. Crowns, while durable, can break and may fracture, especially if you chew on hard objects, forget to brush the crown, and simply avoid caring for it. If you experience any issues with your crown, you will need to have adjustments made to it by Dr. Hwang. If your crown falls out, call us immediately. Dental crowns are considered to be a great alternative to a tooth extraction, but you will need to make sure that you can care for the crown as well. You may feel a bit awkward when you talk and eat for the first few days once a crown is placed, but you will quickly become used to it and have no further problems. If you do think you have a problem with your crown, you should call Eten Dental immediately to ensure you receive the care you need. We offer FREE dental crown consultations here in our Bayside office and we want you to feel confident when you come into our office for care. Call us now to schedule your appointment with Dr. Hwang.